Thanks to Giorgio Cookie Company for the samples. All thoughts are my own. Nothing says I love you quite like a delicious little nibble. I'm talking about sweet treats, of course! In my family, one of the ways we show our love is by giving gifts. Sometimes those gifts involve homemade treats, and sometimes they might even be delicious confections from a favorite bakery. In the past few years, I have really started to enjoy cookies more than I used to, but I always look for cookies which remind me of sweet Italian favorites. Baked goods also make delectable gifts, especially for special events and holidays. With Valentine's Day just around the corner, I am delighted to introduce Giorgio Cookie Company to you all! It all started with Old World Italian cookie recipes and then the company made it their mission to source the finest and cleanest ingredients they could, ensuring the quality and taste of their confections matched the passion they have in their hearts for baking. 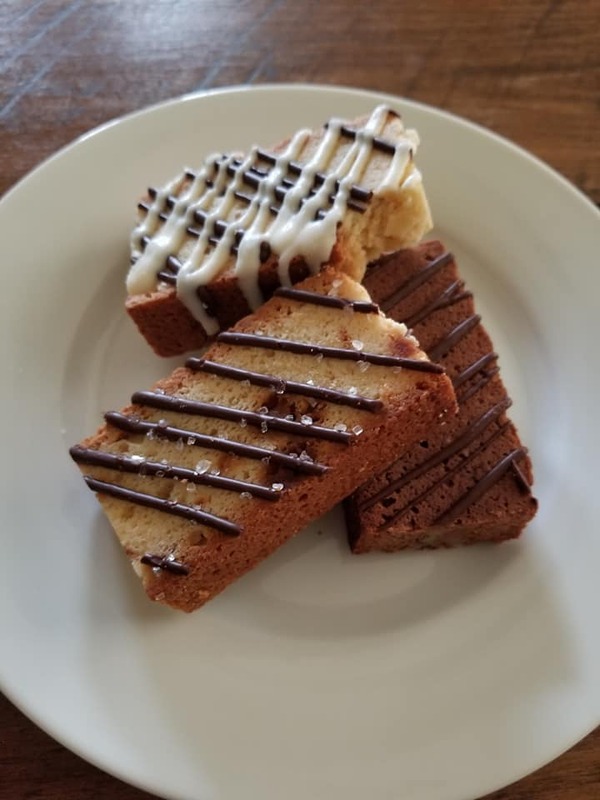 They took it one cookie at a time, mastering a softer biscotti, then moving on to their gourmet cookies, all the while falling in love with their Signature White Chocolate Raspberry cookie. A gift that's sure to delight the eyes, tummies & hearts of all who receive! 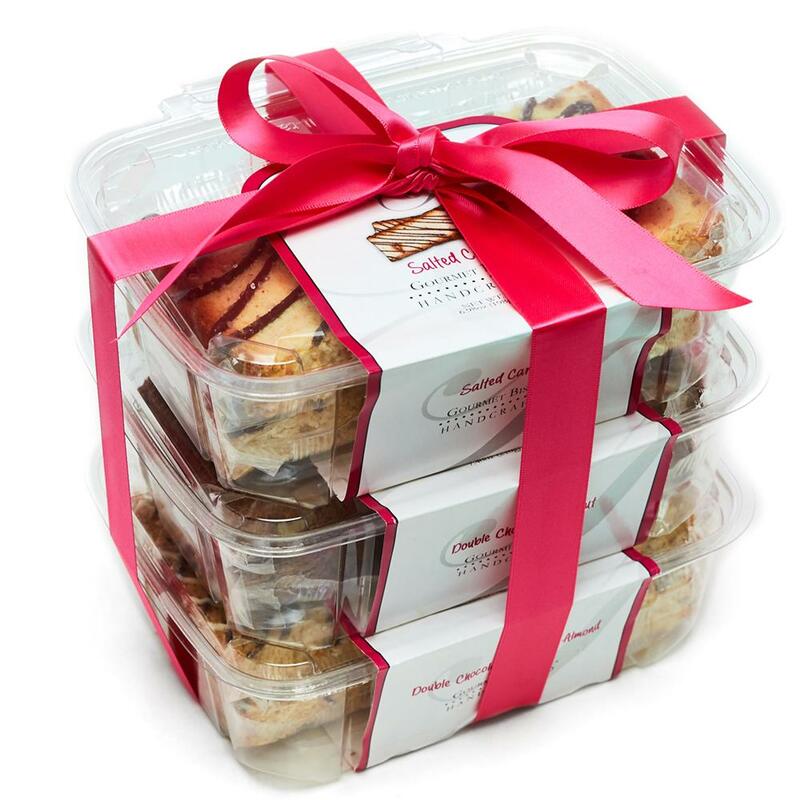 Giorgio Cookie Co. products are perfectly packaged for gifting! I was thrilled to receive a couple of different types of confections from our friends at Giorgio Cookie Co. 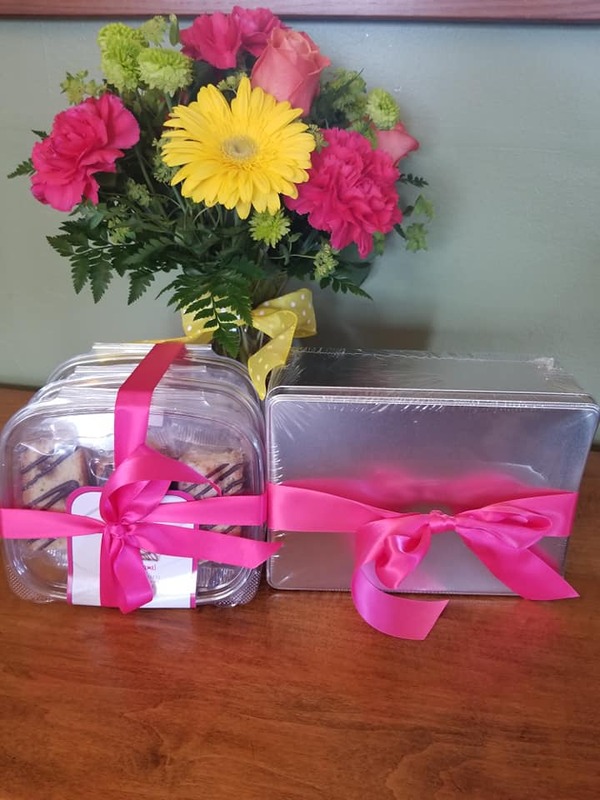 I mentioned loving Italian cookies and biscotti, so there was no better treat for me than the ones I was able to experience with my family from Giorgio Cookie Co. We received a beautiful Dark Chocolate Hazelnut Cookie Tin, and an assortment of various biscotti. Happy Valentine's Day to me! Since my childhood, I have loved chocolate dipped and filled Italian cookies. 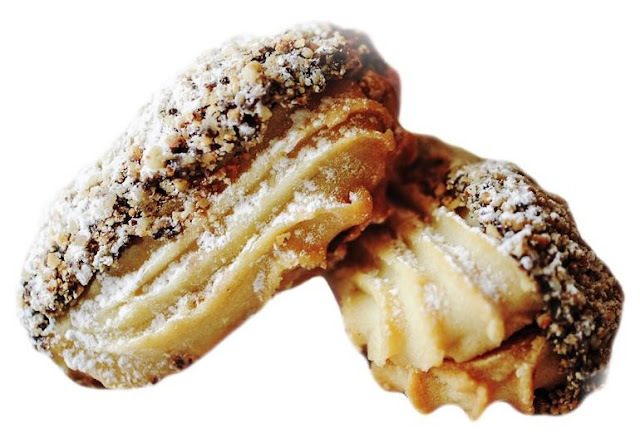 I can't get cookies like these anywhere near where I live, which always makes me a bit sad when I am feeling homesick and really craving an authentic Italian cookie. Each of these melt-in-your-mouth cookies is absolutely delicious, and to me, offers a true taste of home & my childhood. The cookies are a buttery vanilla with a luscious hazelnut spread in between the halves. They're also half dipped in dark chocolate and rolled in crushed hazelnuts. I couldn't have dreamed up a more delicious cookie if I tried! My kiddos and guests love these cookies! My son asks for these after school as a quick snack or special treat. We've even shared some of these cookies with family, who are in love with how good they are! I wouldn't be surprised if my NJ family now living in NC/SC started ordering these cookies on a regular basis! Dark Chocolate Hazelnut: This gourmet hazelnut cookie is spread with a decadent hazelnut filling, enrobed in dark Belgian chocolate, rolled in roasted hazelnuts and dusted lightly with powdered sugar. My Italian grandmother passed away just a couple of years ago, and I miss her so very much. When I was little, she would come over to play with me and we would enjoy tea parties with peppermint tea and cookies. As I grew into a young lady, those tea parties turned into 'coffee talk,' complete with hot coffee and biscotti. Biscotti, yet another part of my family's culinary heritage, and a big part of my life. Giorgio Cookie Co.'s signature biscotti sampler is incredible. It's a tower of various varieties of biscotti, which are absolutely delicious. Normally, I insist on dipping biscotti into my coffee, just to soften it up, but Giorgio Cookie Co.'s biscotti isn't at all hard. 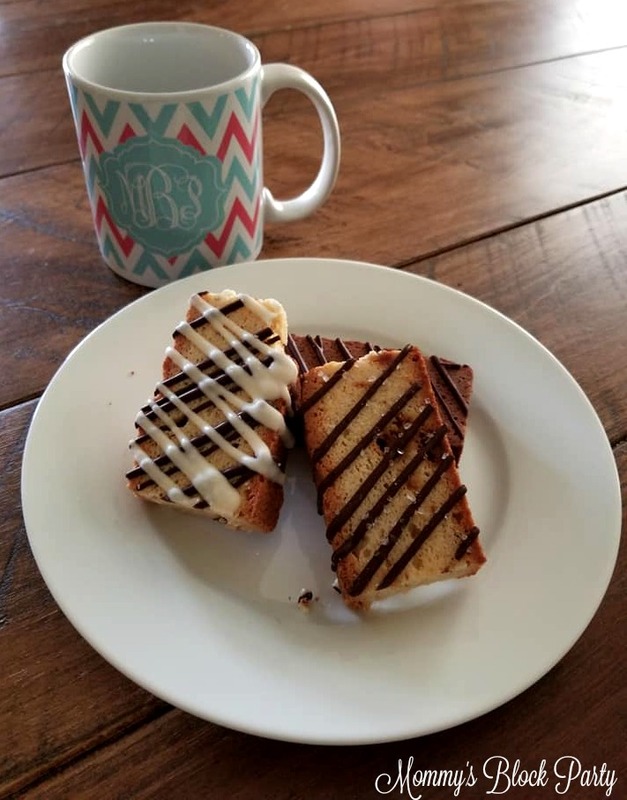 These softer style biscotti are packed full of flavor and are so much easier and more enjoyable to eat than any other biscotti I have had in the past. With flavors like salted caramel, double chocolate roasted almond, and double chocolate walnut, these aren't like the biscotti you might find in a coffee shop. 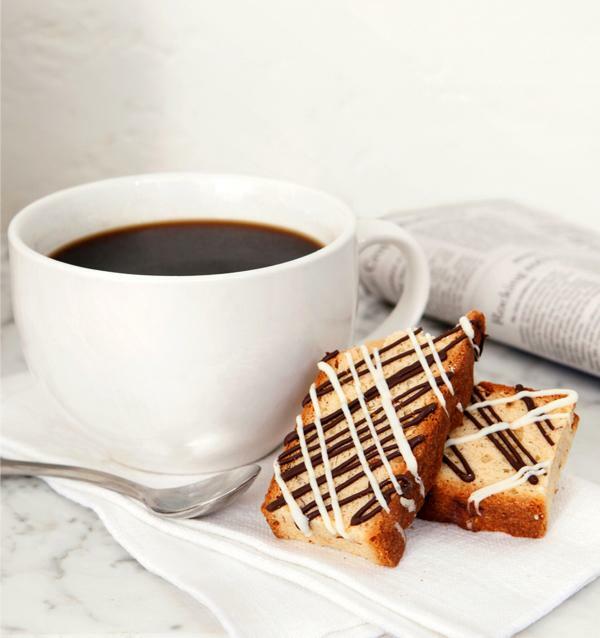 They're square-shaped, soft, and drizzled in chocolate for added layers of flavor. They are amazing! I put out a tray of these delicious biscotti when we had company a couple of weekends ago, and they were gobbled up within mere minutes! This signature gourmet biscotti sampler combines all of Giorgio Cookie Co.'s best selling biscotti flavors into one gift + FREE shipping! I couldn't believe how fresh-tasting these cookie varieties were after being shipped to us. They tasted as though I had walked into a little Italian bakery in Fair Lawn, NJ that very morning and purchased them freshly made. Each cookie is individually wrapped and stays fresh for up to 60 days! These have been wonderful to pack along with me to work for an afternoon coffee break, to send in my child's lunch as a special treat & to share with family. I can't wait to order more Giorgio Cookie Co. treats when we finish off what we have left. Head on over to Giorgio Cookie Co. to get your orders in for Valentine's Day! 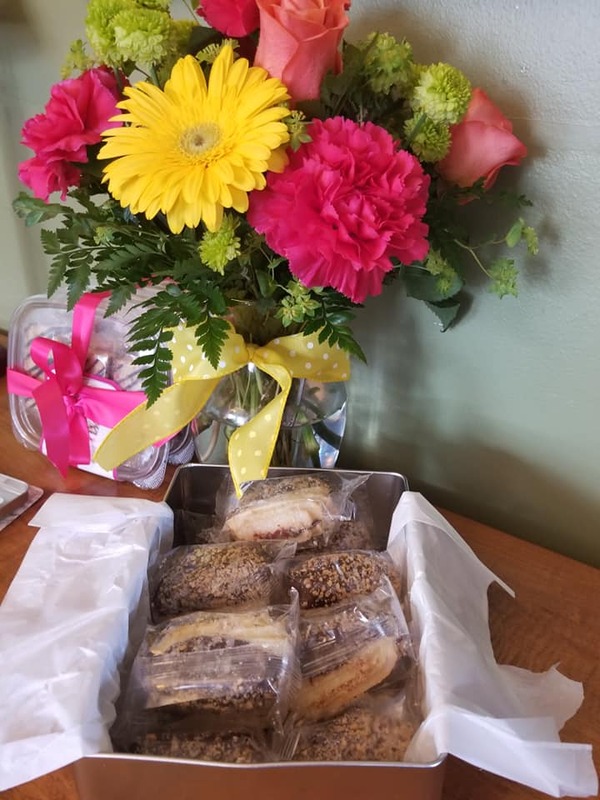 Whether you're looking to surprise someone special or you just want to order a treat to share with your co-workers or family, Giorgio Cookie Co. has the perfect treat or gift in their delicious Italian cookies! Get 20% off and free shipping using promo code LOVE. 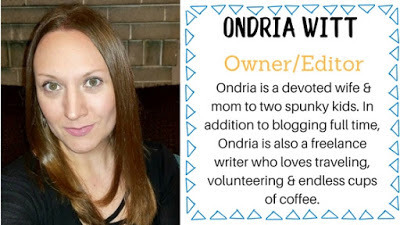 Connect with Giorgio Cookie Co. on Facebook, Twitter, IG & Pinterest. I'd love to hear about the types of cookies you love, Italian family stories, or why you think these cookies look ah-may-zing! Let's chat in the comment thread or you can find me on social media over at @mommysblockparty on Facebook or @mommysblckparty on Twitter & IG. Thanks to Giorgio Cookie Co. for sharing their delicious cookies with us for Valentine's Day! Look for them in our 2019 Valentine's Day Gift Guide.